This no-frills 2* hotel is all about the location – ideally situated to ensure you get maximum skiing time with the least amount of hassle, at a great value price. 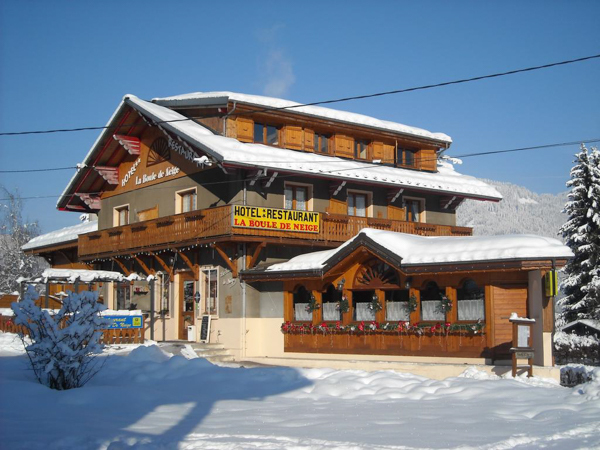 Located right next to the Vercland cable car (the quieter “back door” from Samoëns into the Grand Massif ski area) and a couple of minutes walk to a popular après-ski bar, everything you need for a fun-filled short break is on your doorstep. 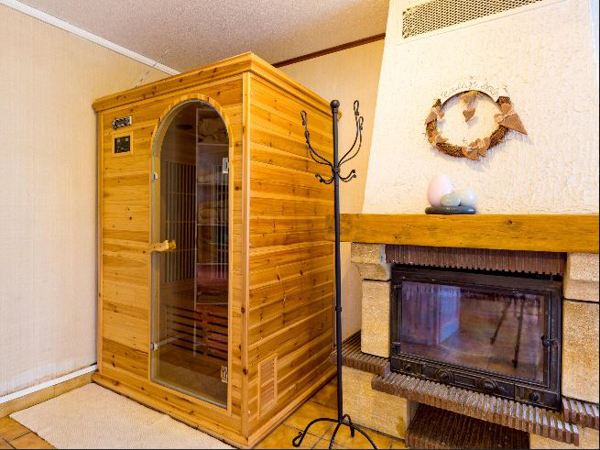 The hotel has 21 ensuite bedrooms, a games room, sauna & hot tub, and a bar. This is a lovely setting and once the telecabine and local bar closes, it is a very tranquil place with stunning views. 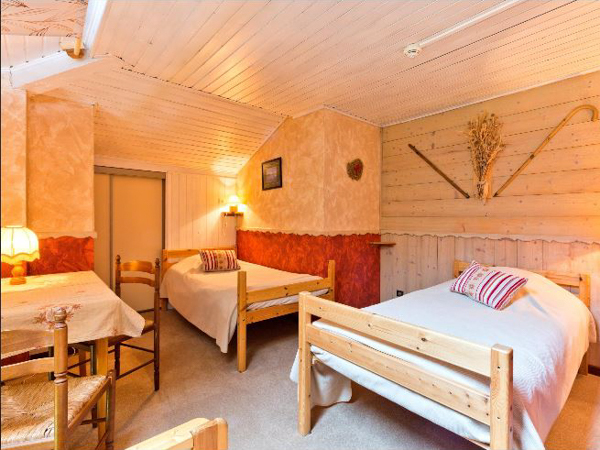 Hotel La Boule de Neige is a small, comfortable French hotel with a friendly atmosphere. Located in the small hamlet of Vercland and away from the main lifts of Samoëns, this offers very quick and easy access to all 265km of piste in the Grand Massif ski domain (including Flaine, les Carroz, Morillon, Sixt and Samoëns) via the small, but not busy, Vercland Saix telecabine. 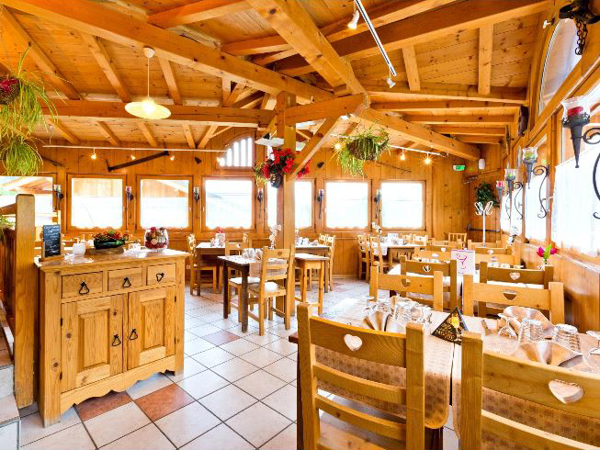 In the evening the restaurant serves traditional French cuisine and also hearty Savoyard specialities. 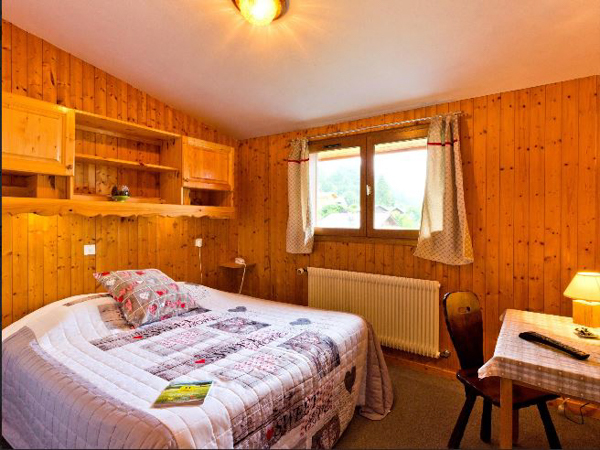 The hotel offers 21 ensuite bedrooms across 2 chalet buildings. Each room also has a flat-screen TV. Some of the rooms have a balcony with fantastics panoramic views of the Grand Massif mountains, and the valley below. 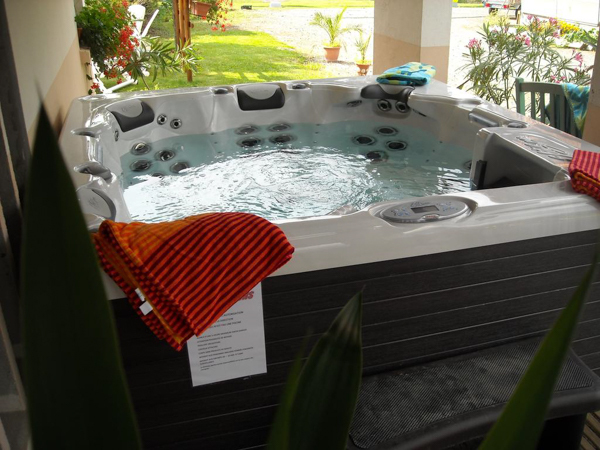 After a day on the slopes, enjoy the sunny terrace for a drink or the hotel does feature a jacuzzi and sauna. 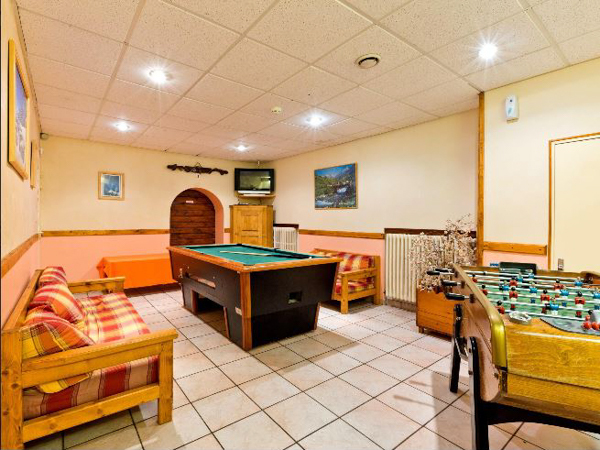 It also has a games room with pool table, but the hotel does lack a lounge or cosy space in which to relax. However, just 50m away is a very cool and chic auberge-bar which is a favourite apres-ski hang out. 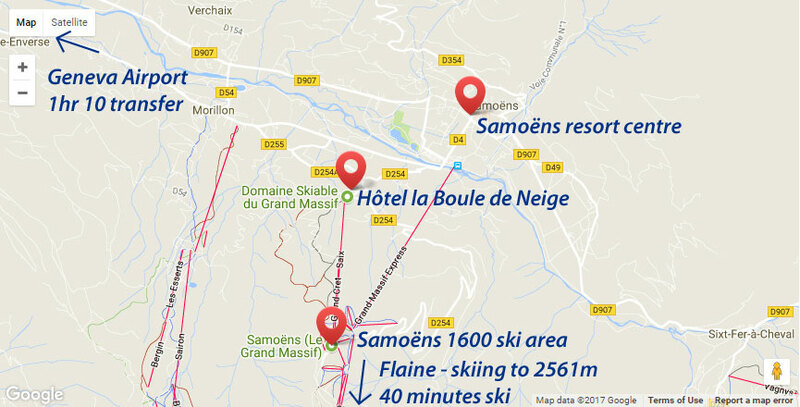 The hotel is located 2km from Samoëns town centre, where you will find much more going on if you want some livelier après-ski. There is a bus to Samoëns until 6pm which takes 5 minutes, or you can take a taxi for around €10. Catering is on a half-board basis, and includes a continental breakfast and 3-course evening meal, featuring traditional French cuisine, and Savoyard specialities. The food is very good, and comes in generous portions, ideal after an energetic day skiing. 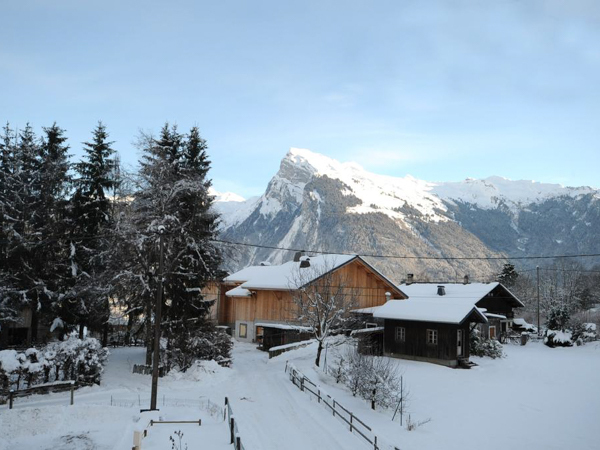 The hotel is located in the pretty hamlet of Vercland, just 2km from Samoens village and 1 hour 10 minutes airport transfer from Geneva. The Vercland Saix Gondola is just across from the hotel which gives you quick access to the whole of the Grand Massif ski area. There is just one bar in the hamlet which boasts a lively après-ski, and the main village of Samoëns, which has a good selection of restaurants, bars, shops, banks and other services, is a 2km downhill walk or a 5-minute bus ride. Buses stop around 6pm and there are some taxis available if you don’t fancy the walk back! Stays at Hotel La Boule de Neige are possible throughout the winter season, from the end of December to mid-April. Stays include half-board hotel accommodation – continental breakfast and 3-course evening meal. All stays at Hotel La Boule de Neige include a full Grand Massif region lift pass, covering 265km of skiing. Airport transfers are included on standard break start / end dates, for flights scheduled to arrive into Geneva airport between 1500-2115, and depart 1600 or later. Transfer time from Geneva to Samoëns is just 1 hour 10 minutes. We can recommend a couple of ski schools in Samoëns who provide good English-speaking ski instructors. This is for private lessons. Word-of-mouth recommendations are important to us. Click on the TripAdvisor logo to see the many reviews from guests who’ve stayed at Hotel La Boule de Neige. Want to stay at Hotel La Boule de Neige... ?